Tatiana is a Mexican in Berlin who flits from one job to another. One of her jobs is typing for a reclusive old historian. The subject? The history of Berlin. This book is very much about the city, where the past seeps into the present and the story unfolds in a dream-like sequence. Set between 1955-56, the novel centres around English spy Leonard Marnham and his love affair with German woman Maria Eckdorf. The novel brings together the story Marnham’s mission, which is to help build a tunnel from the American sector to the Russian sector to tap important phone lines, with his love affair, making it a thrilling tale about lost innocence and loyalties that plays out in pre-wall Berlin. I have to admit, I put this novel in here because I had to; it is considered to be a literary masterpiece, influenced strongly by Joyce’s Ulysses. It has a cinematic, shifting, collagic style, and captures the speed, anonymity and chaos of modern city life. Set in 1920s Berlin, it is about small-time criminal Franz Biberkopf. 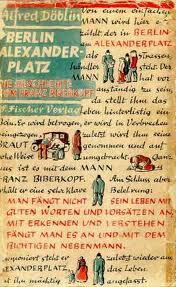 The fragments describing life around Alexanderplatz are beautiful, but it is a hard read. It is New Year’s Eve 1988 and three people find themselves stranded in a car in East Berlin; Englishman Herr Picker, who has a plan to flood East Berlin with ecstasy tablets in an effort to liberate its occupants, half-hearted terrorist Daphne, and Kreuzberger Friedrich. The novel follows the lives of these three characters over the course of the following year. Primo Levi called this ‘the greatest book ever written about German resistance to the Nazis.’ It centres around an apartment block where a couple who lose their son in the war start resisting the regime in their own way. A sad but moving picture of Berlin during the third Reich. 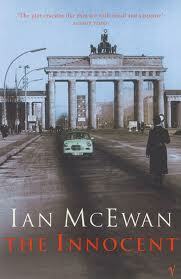 Okay, so this isn’t entirely a Berlin novel, but a lot of it is set in Berlin—and what a gripping, vivid Berlin it is. The novel is about an SS Officer who encounters people such as Himmler, Speer and Eichmann and is present during significant events such as the Babi Yar massacre in Ukraine, the Battle of Stalingrad and the Battle of Berlin. Historians have praised the novel for its historical accuracy so if you would like a meticulous portrait of Berlin as the centre of the Nazi regime, look no further. Instead of a quote from this novel, I’m going to give you a clip from the film, which was made in 2003, because it is the most hilarious depiction of the fall of the Berlin Wall I have ever seen. Like the clip, the novel by Sven Regener, who is also the lead singer and songwriter of band Elements of Crime, is immensely funny. It centres around Herr Lehmann, who is about to turn thirty, and his life as a barman in Kreuzberg just before the fall of the wall. Three books; ‘March Violets’, ‘The Pale Criminal’ and ‘A German Requiem’, make up this series, which centres around a Berlin private investigator Bernie Gunther solving crimes during the Nazi regime (‘March Violets’ is set in 1936, ‘Pale Criminal’ in 1938 and ‘German Requiem’ in 1947). 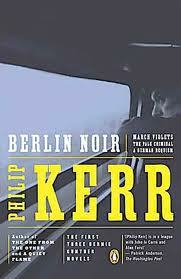 Kerr’s Berlin is a dark place full of corruption and moral ambiguity and his stories are tight, complex page-turners. The Gift tells the story of a Russian writer Fyodor Godunov-Cherdyntsev living in Berlin, and his love affair with Zina Mertz. 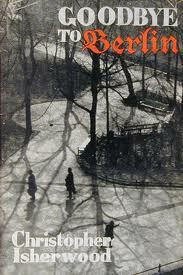 It is filled with vivid descriptions of 1920s Berlin, and focuses on the Russian émigré population in the city. Nabokov lived in Berlin between 1922 and 1937 and for anyone interested in his literature and relationship with the city, I would really recommend Dieter E. Zimmer’s article on Nabokov’s Berlin, complete with pictures. (And if you like that, he‘s written a book with the same name too). Goodbye to Berlin is one of the two novels that make up Isherwood’s Berlin Stories (the other being Mr Norris Changes Trains). Set in Berlin between 1930 and 1933, Isherwood depicts an intriguing array of characters, from prostitutes to wealthy Jewish store owners, and their lives in the city during the Nazi rise to power. The more one looks at this rather wonderful piece of writing, the less it seems ‘a slice of life’, or a camera’s easy swipe, than a very careful ballet. The passage begins with an entrance: the entrance of the chapter. The reference to hammers and sickles and Nazi crosses introduces a note of menace, which is completed by the sardonic reference to commercial bills advertising ‘auctions and crimes’: this may be commerce but it is uncomfortable close to commercial graffiti—after all, isn’t auction and crime what politicians, especially the kind involved in communist or fascist activities, do? They sell us things and commit crimes. Goodbye to Berlin inspired the play I Am a Camera and the Tony Award-winning musical Cabaret, which in turn was adapted into Bob Fosse’s 1972 film Cabaret starring Liza Minnelli. Berlin by Jason Lutes is an exceptional series of graphic novels about the life in Berlin during the 1920s. It first appeared as a series of 24 magazines, but they have been put together and published as 2 books. Time Listed it as one of the 10 best graphic novels ever written. The German edition is slightly different compared to the English one, as it makes use of the Berliner dialect (which is lost in the English version). Thank you for reposting this great list. I’ve only read three of the books (9,8 and 4). Looking forward to reading the other ones. Damn I need to read more! Only read The Innocent, but have the Isherwood sitting on the shelves waiting. Good list ! 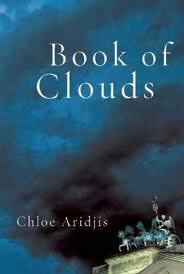 I Loved ‘The book of clouds’ by Chloe Aridjis, which is so poetic, dreamy and sharp at the same time…Also read Alone in Berlin, great classic. 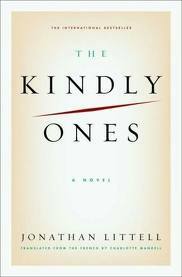 and the ‘Kindly Ones’ special but excellent !